This adventure-build began with a 2017 Dodge Grand Caravan SE; the most basic version of the current Caravan. It was hot off the line with a total of 49 km. My plan was to create a permanent conversion camper van from this standard vehicle and enjoy it for years to come. There are measurable benefits to starting with a standard mini-van, rather than a larger vehicle. Gas mileage is very good. Financing, if you need or want it, holds no surprises. The minivan’s standard height makes ferry boarding and underground parking a breeze and a cheaper alternative to longer or over-height vehicles. Minivans are also super-easy to drive. Finally, minivans are discreet; chameleon-like. Unless you go out of your way to look like a camper, you will look like a minivan. Which means you can park casually, and sleep peacefully, in places others might be more conspicuous. Unless, of course, you open the back door! Additionally, being only 5’2″, I’m attracted to hobbit-like dens more often than palatial spaces. Lastly, there is less space to convert, so less materials to buy and less labour or labour-cost involved. It all began with lots of daydreaming, internet research and sitting in the van with all the back seats removed. I spent three months working on a design in this fashion, and a dear friend assisted me by creating a 3D set of plans. I then interviewed a number of builders and finally was delighted to join forces with a designer and carpenter team in the Ottawa area who brought my vision to life. It was their first van conversion, and mine too, so there was a lot of learning to do along the way, especially given there are almost no right angles or straight lines inside the van! Almost a year on the road full time, and there is little I would change about this design or build; a great testament to their problem solving skills and handiwork. Many thanks to Marty Habicht, contractor with “MhHawk Consulting,” and Justin Goto of “Goto Carpentry” for their courage to take on the project and their excellent work. Marty and Justin; builders extraordinaire! This build features a pull-out kitchen with a two burner propane stove, pumped water and a 12 volt mini-fridge. The water is stored in the “well” where the rear seats used to be and is covered by the floor. There is a trap door in the floor to access the tank, and storage space. I have interior lights, a 12 volt mattress pad heater and a port to plug in my phone, tablet and other electronics. I also have a household outlet, and can plug the entire van into “park power” if need be. I use portable solar panels which store under the removable bed in the back to supplement my in-house power, and the van is mechanically altered to charge my in-house battery when I am driving. I have two sizes of 12 volt fans, one to reduce condensation in some climates, and one to keep Pippa cool for short periods of time in warmer weather. I have window covers for all the back windows, that have insulation in the middle, black out material on the back, and decorative material on the inside. They are held to the window using simple flexible bars that sit into the window wells. A privacy curtain between the front and back of the van is hung on a flexible rod that curves against the roof of the vehicle. The ends just tuck into melding with no hardware required. This build allows for a second passenger (front seat) and for a second sleeper, as long as that second person doesn’t mind sharing “foot” space with the first sleeper :). My daughter joined for a full six weeks on the road, and we were very comfortable travelling together! If I stay in a location for a few days, I will remove the back bed, which converts to a table outside. I can then put the two cushions from that bed onto the back of my bed, to change my bed into a couch! 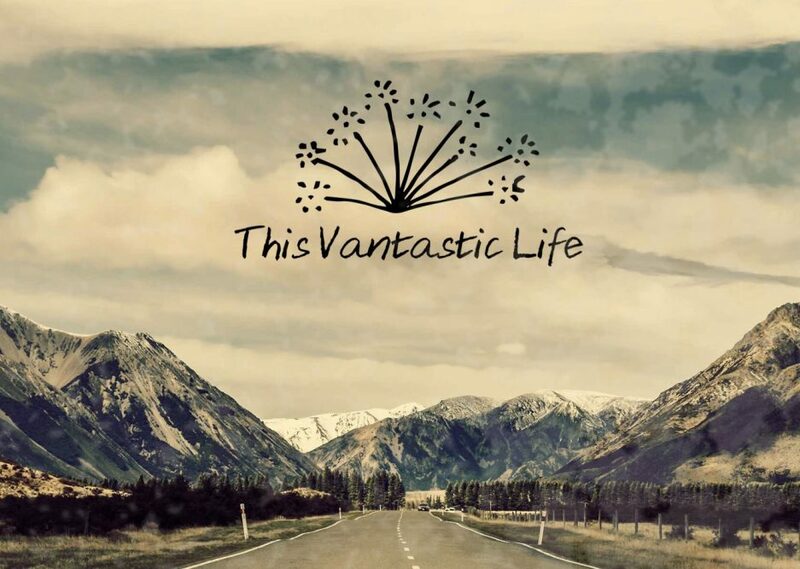 Visit me on Facebook at “Kit Vantastic” to see where I am today, check out My YouTube videos as “Kit Vantastic” or see photos from my entire journey on Instagram as @this_vantastic_life. Below is a gallery of photos from the build. See you on the road!